With the amazing success of any new business, there’s bound to be plenty of copycats and that has certainly been the case for Groupon, the original daily deals site. We previously wrote about the Groupon launch in Buenos Aires and since then numerous competitors have popped up. Basically all these sites work the same way: you sign up for their mailing list and each weekday they send you a promotion that is only good for that day. This promotion is usually something in excess of 50% off the normal price. A certain number of people need to sign up for that promotion for it to be active. You pay in advance and when the deal is finished, you get a coupon emailed to you for the deal. Now, there’s a lot of room in this space for daily deals sites, and the more there are, the better the deals can be for the consumer. 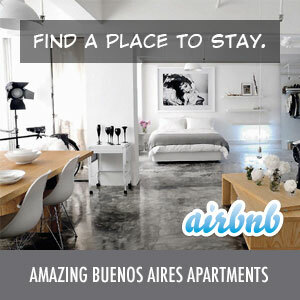 If you’re in Buenos Aires, I’d recommend checking out some of these sites and signing up for their deals. It is a great way to save money and find some new places as well. The original and biggest of the daily deals sites. Groupon launched on June 24, 2010, and since then has expanded to include four Buenos Aires deals sites: Buenos Aires, Buenos Aires Premium, Buenos Aires Zona Norte and Buenos Aires Zona Sur. You’ll still see some of the best deals from them. No te la pierdas.com is the second largest of the sites. They offer pretty much the same standard deal of the day format. Cuponica is the next largest of the sites and offers a bit of a spin on the Groupon deals format in that they also offer additional coupons for the advertiser of the day in addition to the main deal. Started by a group of American expats, Oferta Simple copies the Groupon model in several South American cities. Tired yet? Here’s yet another one. Nothing much more to say as they’re all pretty much the same. Full Exit seems to still be working on their technology issues though as I often get emails from them with broken images. Waku (2,108 likes on Facebook) – move along, nothing different to see here. ClickOnero (2,742 likes on Facebook) – yep, you get the idea by now. BigDeal (4,306 likes on Facebook) – these are hard to keep up with. PIGiT (69 likes on Facebook): where did they get this name from? If you know of any others, let me know in the comments. Now, go sign up and start saving.